Maybe I have been brainwashed by brilliant Apple marketing, but there is something so simple and alluring about a clean, white environment. 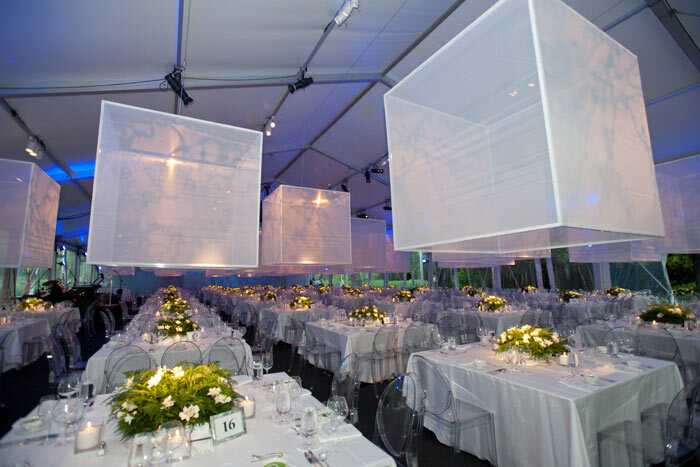 When designing an event, I find that starting with a white box and adding elements cautiously usually ends up in a better balance of color and textures. 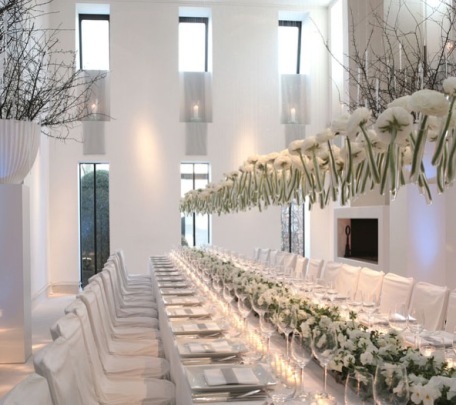 An all white event space can be extremely chic and definitely contemporary. 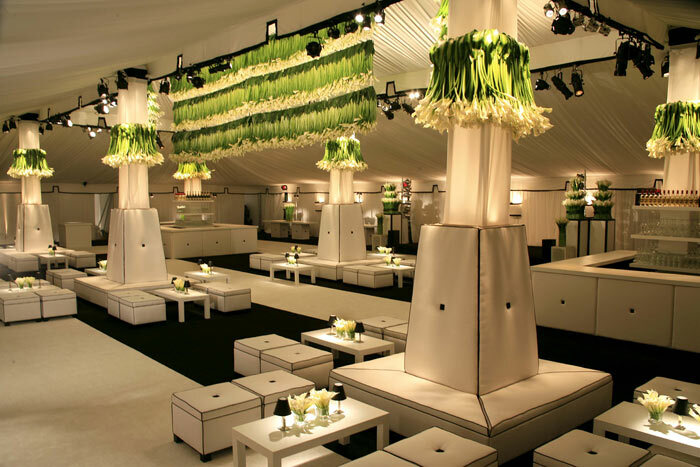 Layering textures and variations of a color can give a rich, welcoming look. 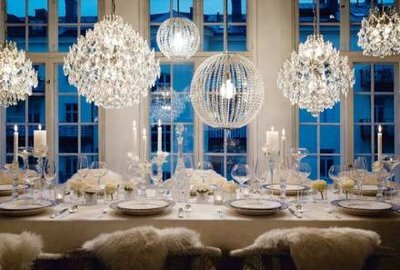 Not to mention, any lighting will automatically transform the space, or specific sections of a white space.